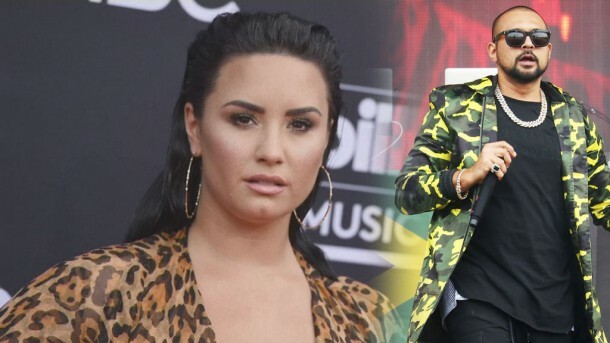 According to the Jamaican rapper, Sean Paul, the pressures of the music industry are to blame for Demi Lovato’s alleged drug overdose. The American singer and actress was rushed to the hospital last week after she was found unconscious at an address in Hollywood Hills, California. Many music stars have declared their support for the Sorry not Sorry hit maker publicly and, Sean Paul is one of them. The Temperature legend has pointed out the workload and the pressures of the music industry on their stars which makes them yearn for an escape. He revealed to a British newspaper, Daily Star about how the music stars are always working in studios, performing and travelling. After all this work, they need a break sometimes, and that means going towards things that really don’t give you a break. Following this, he sent his love to Demi and praised her by calling her a beautiful girl and a great artist. He also said that there’s no shame in this. He admitted that he smokes too much as it’s a relief for him, but his family keeps him grounded. Thinking of his wife, his son, his brother and his family helps him in every situation. Whenever he’s feeling sad or depressed, his family is there to help him pick up. Demi relapsed after six years of sobriety. She’s being treated at Cedars-Sinai Medical Center in Los Angeles. Her team has been pretty quiet about the whole thing but recently, Dani Vitale, her backup dancer, posted a note on Instagram. She wrote about how she wasn’t there at the time of the incident, but she’s with her now and will continue to be with her because Demi means the world to her just as she does to all of us. Dani also asked Demi’s fans to consider thinking before sending any negative comments. She wrote that there was no need for any negativity towards the ones who actually care about Demi. The actor, Kelsey Grammer, who’s had drinking problems and has battled with drugs, gave some advice to the star in his interview with Entertainment Tonight.